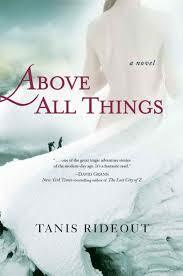 Above All Things, Tanis Rideout's debut novel, is about a man, his wife and his other great love  a 29,000 foot mountain. Rideout explores Ruth Mallory's point of view in Above All Things; her love for George Mallory, her acceptance of his passion for Mount Everest and her deep grief at losing her husband to the hulking mountain. Why did Rideout choose to tell her story from Ruth's perspective? "George Mallory was so interesting, she (Ruth) had to be interesting, too," says the author. Rideout's opinion is part of a growing trend among writers. The women behind  and, more often, next to  famous men are popular subject matter for many recent novels. Part of the reason for this is, as Rideout says, that they are fascinating people in their own right. Think of Zelda Sayre Fitzgerald. Think of Anne Morrow Lindbergh. These women stood tall all by themselves. Often, too, these women were just as creative as their male partners. Think Fanny Stevenson. 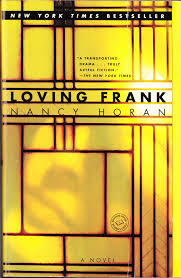 She is one main character in Nancy Horan's Under the Wide and Starry Sky. (The other is, of course, Robert Louis Stevenson) Fanny was a painter, but put aside her aspirations to take care of her ailing writer husband. This subject matter is not new, by any means. Women who are intimate with famous writers, movie stars, musicians, politicians and athletes have always fascinated the public. Besides being interesting subjects themselves, these women are also often very persuasive voices echoing in their men's ears. In a 1995 article in the LA Times, Suzanne Gordon wrote, "feminist biographers and historians are now documenting the fact that these women were often extremely influential  if not partners  in their mates' creative process." 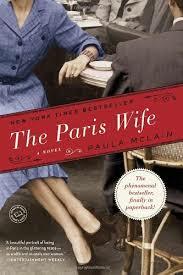 She is writing in reference to Alexandra Lapierre's book, Fanny Stevenson: A Romance of Destiny (1995), but, again, the same can be said about many of these women hidden in the shadows of their male counterparts' fame and success. Is there another reason why these women are so compelling, though? Tanis Rideout says it well again: "Ruth [Mallory]'s viewpoint lets the reader 'look at the man in a different way, to deconstruct the mythology" about such a heroic figure.'" Yes, George Mallory was an extraordinary human being. He accomplished feats that are out of the purview of most humans. But in the end he was, still, only human. We know this  of course we do  but it is easy to forget. The points of view of the women who knew these men so intimately, and in all of their myriad of human ways, bring us back to this truth. This "beyond the book article" relates to Under the Wide and Starry Sky. It originally ran in January 2014 and has been updated for the September 2014 paperback edition.